How to Manage High Stress Periods…Like the Holidays!! 1. Acknowledge your feelings: If historical or present day loss and sadness exist, accept that it’s normal to feel sadness and grief. It’s OK to take time to cry or express your feelings. 2. Reach out: If you feel lonely or isolated – seek out community, faith-based or other social events as they can offer support and companionship. Volunteering may also lift your spirits and broaden friendships. 3. Be realistic: The holidays may not (likely won’t) be perfect or just like last year. As families change and grow, traditions and rituals often change as well. Choose a few to hold on to, and be open to creating new ones. For example, if adult-children can’t come to your house, find new ways to celebrate together, such as sharing pictures, emails, videos, skyping. 4. Set aside differences: Set aside familial grievances during gatherings until a more appropriate time for discussion. Try and find understanding if others get upset or distressed when something goes awry – chances are they’re feeling the effects of holiday stress just like you may be. 6. Plan ahead: Set aside specific days for shopping, baking, visiting friends and other activities. Plan your menus and then make your shopping list. That’ll help prevent last-minute scrambling to buy forgotten ingredients. Ask for support for party prep and cleanup. 7. Setting Limits: Saying yes when you want to say no can leave you feeling resentful and overwhelmed. If you can’t participate in a project or activity, try and be clear about which ones you can say no to and take that time for other activities like rest and self -care. Have a healthy snack before holiday parties so that you don’t go overboard on sweets or drinks. Incorporate regular physical activity into each day as it helps with both physical and emotional wellbeing. 9. Take a breather: Make some time for yourself. Spending just 15 minutes alone, without distractions, may refresh you enough to handle everything you need to do. Find something that reduces stress by clearing your mind, slows your breathing and restores inner calm. 10. Seek professional help if you need it: Despite your best efforts, you may find yourself feeling persistently sad or anxious, plagued by physical complaints, unable to sleep, irritable and hopeless, and unable to face routine chores. If these feelings last for a while, seek help from a professional. I hope that this helps make the holidays more enjoyable for you and yours. Happy Holidays! This post will focus on tension-type headaches, as they are one of the most common types of headaches suffered by adults. 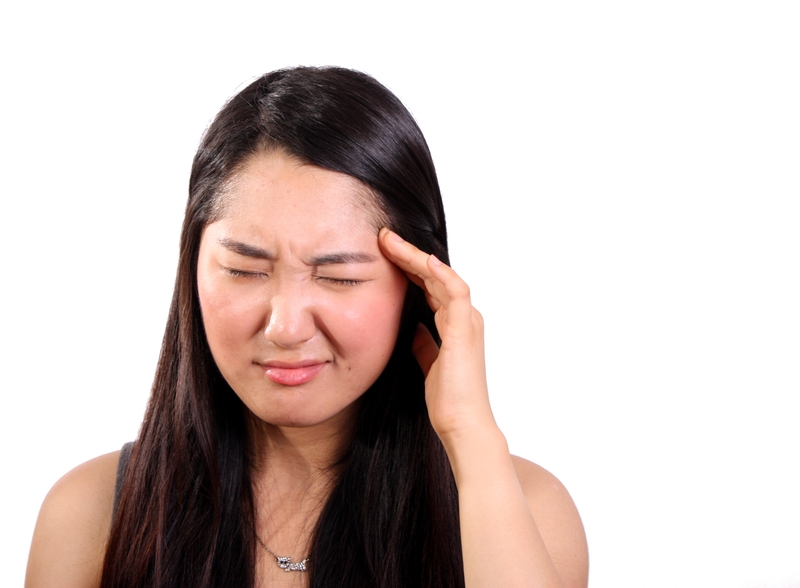 These headaches are often described as “band-like pressure” or “tightness around the head”. There are many factors that may contribute to the onset of tension-type headaches. How many of the following factors apply to you? Most of these triggers are lifestyle factors, which we are able to modify on our own. However, chiropractic care has also been shown to be an effective approach to help battle these nasty headaches! Research has shown that chiropractic adjustments are effective in reducing the intensity and frequency of tension-type headaches, as well as reducing the usage of over-the-counter medication. Manage your stress: One way to manage your stress is to plan ahead and organize your day. Relaxation Techniques: This may include deep breathing exercises, listening to music, or yoga. Diet and Exercise: Eating healthy and exercising often. Quitting smoking is also very important to help reduce the onset of headaches. Heat or Cold: The application of a heat or cold pack around the head may provide some relief. Chiropractic Care: Chiropractic treatment can assist with muscle tension and postural correction to help re-align the body for optimal functioning! Boline PD, Kassak K, Bronfort G, Nelson C, Anderson AV. Spinal manipulation vs. amitriptyline for the treatment of chronic tension headache: a randomized clinical trial. J Manipulative Physiol Ther. 1995 Mar-Apr;18(3):148-54. Fumal A, et al. Tension-type headache: Current research and clinical management. Lancet Neurology. 2008;7:70. Pluta RM. JAMA patient page: Tension-type headache. Journal of the American Medical Association. 2011;306:450. To read more about tension headaches, click on the link below. To some, the word “meditation” connotes relaxation, calm, and introspection. For many others however, the practice falls outside their comfort zone. You may feel confused or awkward, or simply unfamiliar with taking time out for yourself on a regular basis. In truth however, meditation is a fairly flexible practice –it truly is whatever you make of it. Plus it’s one of the most widely accessible and completely free therapeutic activities you can do. Without the necessities of equipment, money, or even very much spare time, excuses for not trying meditation are slim! Still skeptical? 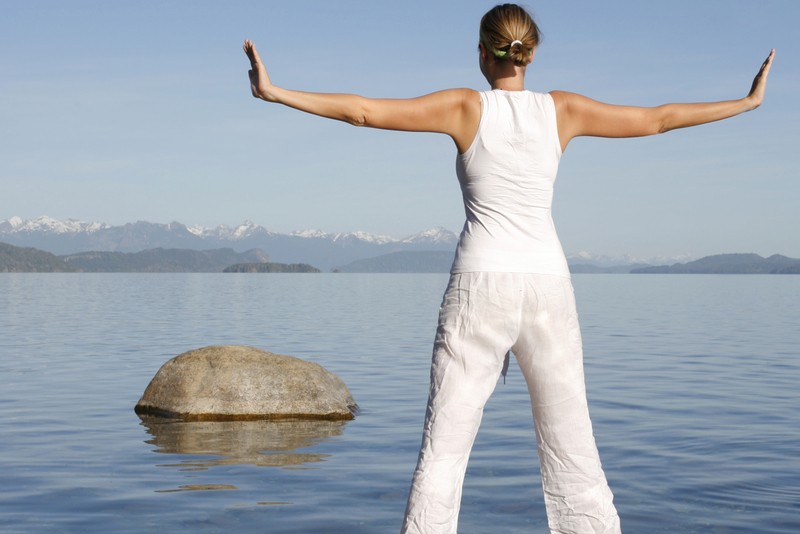 Skim this list of 100 benefits of meditation until one jumps out at you. While all of these are not expected or typical outcomes, the potential exists for meditation to impact many areas of your well-being, whether as a mood stabilizer, a heart rate slower, or an emotional outlet. And if a simple practice can yield so many different psychological, physical and spiritual benefits, it’s definitely worth a try. While many of us think of meditating as a stress buster, research conducted by Harvard Medical School suggests that the health benefits of meditation may be greater than anyone initially conceived of. In a study, participants who regularly practiced relaxation techniques like meditation were found to have more active disease-fighting genes than those who’d never tried any such thing. It turns out our genes are very responsible to our behaviours and environment. When we create the optimal conditions by relaxing and meditating, many of these genes activate over time. Since these types of genes are responsible for fighting inflammation and killing diseased cells, it would seem that meditation has the potential power to boost your immune system. The tangible health perks don’t end there. Medical studies have demonstrated that meditating has the potential to boost fertility, ease irritable bowel syndrome, help with chronic pain management, and lower blood pressure. The scientific support for these important health benefits has begun to inch meditation into mainstream health practiced. Don’t be afraid to join the trend. The key is to redefine meditation so that it means something accessible, uplifting and useful to you personally. Your meditation practice could be as simple as taking time out to stretch, breathe deeply and sit silently for a few minutes when you get home from work. It could be ten minutes spent sitting with your eyes closed in the sun, or a deeply spiritual practice that you conduct with your family and peers. You might also try a group yoga class which can be a rewarding opportunity to try meditative practices with group support.